U.S. orders are shipped USPS Priority Mail, unless another method is requested. USPS rates are determined based on a combination of weight, mail class, and shape. Time and the cost of shipping to Alaska and Hawaii may vary at each order. In rare occasions, a shipment may experience a delay in delivery and not reach you in the time expected. If your expected delivery date has past, please check your order information online or contact us. Currently we DO NOT process online international orders or any orders to US territories and possessions. If you live outside US and would like to purchase Space Games Federation products, please inquire us. A tracking number will be sent to your email address in order for you to track your order or view delivery status online. USPS Express Mail is available upon request at additional charge. You are solely responsible for providing the correct address that the order should be delivered. Once USPS confirms that the order has been delivered, Space Games Federation is no longer responsible for the order. If you would like to choose a different shipping method other than USPS, please contact us to make special arrangements. All Space Games Federation products are inspected for quality before being shipped. Due to our high safety standards and sanitation regulations as well as hygienic and quality control reasons, we cannot accept any returns or exchange if the product packaging has been opened, unsealed or tempered with. Only product(s) that is/are not used or unsealed and returned in the same condition, in which you received them, will be eligible for return or exchange. Space Games Federation reserves the right to either replace the product/ kit(s) or provide full or partial refund. Once your request for return or exchange is approved, All Space Games Federation will provide you with a Return Order Number (RO #) and instructions of where to send the product(s). Return shipping costs will apply at your expense and products must be received by Space Games Federation within 10 business days after RO # is provided to you. You need to include RO # inside the package with the returned products. Once your item has been inspected, you will receive an email regarding your exchange or return. All products are NOT available on a “try and return” basis. Please ask all questions before making your purchase. 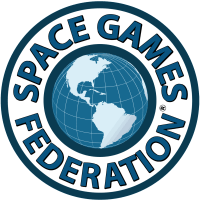 If you are not sure how to use the received items, please check the product details at Space Games Federation website for more information. If you need additional help with product information, please contact us at info@spacegamesfederation.com.